On November 13, the U.S. State Department offered rewards of up to five million dollars each for information on one Hamas leader and two Lebanese Hezbollah leaders. Both groups have received weapons, training and funding from Tehran for years. Hamas leader Salih al Aruri “is currently living freely in Lebanon, where he is reportedly is working with the Iranian Islamic Revolutionary Guard Corps Quds Force,” said Assistant Secretary of Diplomatic Security Mike Evanoff at a press briefing. The first wanted Hezbollah member, Khalil Yusif Mahmoud Harb, is an advisor to the group’s secretary general, Hassan Nasrallah. The second member, Haytham Ali Tabatabai, is a key military leader who commanded Hezbollah special forces in both Syria and Yemen. “The actions we’re announcing today are one more step in our campaign to build the toughest sanctions regime ever imposed on Iran. More sanctions are coming, and they will continue until Iran and its proxies change their behavior,” said Ambassador-at-Large and Coordinator for Counterterrorism Nathan Sales. On the same day, the U.S. Treasury sanctioned four Hezbollah-affiliated individuals who coordinate the group's activities in Iraq. ““Treasury’s concerted actions aim to deny Hezbollah’s clandestine attempts to exploit Iraq to launder funds, procure weapons, train fighters, and collect intelligence as a proxy for Iran,” said Sigal Mandelker, Under Secretary of the Treasury for Terrorism and Financial Intelligence. The following are excerpted remarks by Evanoff and Sales from the State Department briefing with a press release from the Treasury. ASSISTANT SECRETARY EVANOFF: So today the U.S. Department of State’s Rewards for Justice program is offering rewards of up to 5 million each for information leading to the identification or location of Hamas leader Salih al-Aruri, and Lebanese Hizballah leaders Khalil Yusif Mahmoud Harb, and Haytham Ali Tabatabai. Salih al-Aruri is a deputy of the Hamas’s political bureau and one of the founders of Hamas’s military wing. 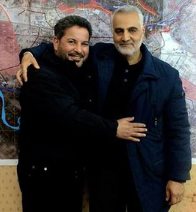 Al-Aruri is currently living freely in Lebanon, where he is reportedly is working with the Iranian Islamic Revolutionary Guard Corps Quds Force. Al-Aruri raised funds for and directed Hamas military operations in West Bank and has been linked to several terrorist attacks, hijackings, and kidnappings. In 2014, al-Aruri asserted Hamas’s responsibility for the June 12th, 2014 terrorist kidnapping and murder of three teenagers in the West Bank, including dual U.S.-Israeli citizen Naftali Frenkel. The U.S. Department of Treasury designated al-Aruri a specially designated global terrorist in September 2015. Khalil Yusif Mahmoud Harb is a close advisor of Hassan Nasrallah, leader of Lebanese Hizballah, and has served as the group’s chief military liaison and Palestinian terrorist organizations. Harb has commanded and supervised Lebanese Hizballah military operations in the Palestinian territories and several countries throughout Middle East. The U.S. Department of Treasury designated Harb as a specially designated global terrorist in August of 2013. Haytham Ali Tabatabai is a key Lebanese Hizballah military leader who commanded Hizballah special forces in both Syria and Yemen. The Department of State designated Tabatabai as a specially designated global terrorist in October of 2016. The Hamas and Hizballah organizations receive weapons, training, and funding from Iran, which the Secretary of State has designated as a state sponsor of terrorism. The Department of State designated both Hamas and Hizballah as foreign terrorist organizations in October 1997, and as specially designated global terrorist entities in October 2001. AMBASSADOR SALES: Thanks, Mike. I’d like to say a few words to put into a broader strategic context the RFJ reward offers that Assistant Secretary Evanoff has just announced. Before I do so however, I’d like to pause for a moment to acknowledge that today is a very sad anniversary. This is the three-year anniversary of the ISIS attacks on Paris in November of 2015. Iran is the world’s leading state sponsor of terrorism. It has held that dubious distinction for many years now, and it shows no signs of relinquishing the title. Let me give you some numbers. Iran spends $700 million a year on Lebanese Hizballah. It gives another $100 million to various Palestinian terrorist groups, including Hamas. Combined with the money that Tehran provides to other terrorists, the total bill comes close to $1 billion a year. Sadly, it is the Iranian people who are forced to pay this price. The resources that Iran uses to fund its global terrorist ambitions are resources that come directly out of the pockets of everyday, average Iranians. The regime robs its own citizens to pay its proxies abroad. Inside Lebanon, Hizballah’s destructive actions have endangered the Lebanese people. Thanks to Iran’s backing, Hizballah has built a fearsome arsenal. The group has stockpiled more than 100,000 rockets and missiles inside Lebanon, and we see this as a massive and destabilizing buildup. As we all know, Hizballah hides its missile factories in population centers, effectively using innocent civilians as human shields. Hizballah’s ability to destabilize is not confined to the Middle East, however. It is able to destabilize inside Lebanon itself. As Prime Minister-designate Saad Hariri told media outlets earlier today, Hizballah continues to block Lebanon from forming a new government. This is all at the expense of the Lebanese people in an effort to extract more concessions for Hizballah’s own benefit. We are also deeply concerned about Tehran’s growing ties to Hamas. After a brief split early in the Syria conflict, Hamas and Iran have rebuilt their relationship. Iran is once again providing Hamas with much-needed funding. 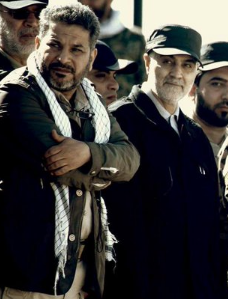 Salih al-Aruri has been a major player in the Hamas-Iran relationship, serving as one of Hamas’s key liaisons with Iran and playing an important role in the reconciliation between the two sides. As has been widely reported, Aruri is currently living freely inside Lebanon, where Hizballah’s leadership has welcomed him with open arms. This is simply unacceptable. It is intolerable for a leader of Hamas to enjoy safe haven in Lebanon. In addition to the reward offers just unveiled by Assistant Secretary Evanoff, I announced several new actions to combat Iranian terrorism earlier today in a speech at the Washington Institute for Near East Policy. Today, the State Department is designating Jawad Nasrallah and the al-Mujahidin Brigades as specially designated global terrorists, or SDGTs. Jawad Nasrallah is the son of the group’s secretary general, Hassan Nasrallah. AMB is an Iran-backed terrorist group that has been operating in the Palestinian territories since 2005. In addition, we’re maintaining Hizballah’s designation as a foreign terrorist organization, which was up for a mandatory five-year review. Likewise, the Treasury Department is designating a number of Hizballah-related individuals as SDGTs: Shibl al-Zaydi, Yusuf Hashim, Muhammad Farhat, and Adnan Kawtharani. All told, the Trump administration has already designated more than 40 Hizballah-related individuals and entities this year alone, with a total of 160 to date. The actions we’re announcing today are one more step in our campaign to build the toughest sanctions regime ever imposed on Iran. More sanctions are coming, and they will continue until Iran and its proxies change their behavior. Iran must follow the same rules that every other civilized nation follows and renounce terrorism as a basic tool of statecraft. We will continue to ratchet up the pressure until Iran joins the community of civilized nations and ceases its support for murder and mayhem around the globe. Washington – The U.S. Department of the Treasury’s Office of Foreign Assets Control (OFAC) took action today to target four Hizballah-affiliated individuals who lead and coordinate the group’s operational, intelligence, and financial activities in Iraq. Specifically, OFAC designated Shibl Muhsin ‘Ubayd Al-Zaydi, Yusuf Hashim, Adnan Hussein Kawtharani, and Muhammad ‘Abd-Al-Hadi Farhat as Specially Designated Global Terrorists (SDGTs) pursuant to Executive Order (E.O.) 13224, which targets terrorists and those providing support to terrorists or acts of terrorism. These designations follow the signing into law on October 25, 2018, of the Hizballah International Financing Prevention Amendments Act of 2018, which reinforces the U.S. Government’s efforts to protect the international financial system by targeting Hizballah’s supporters, financial networks, and those that facilitate and enable its destabilizing activities worldwide. Today’s designations specifically target individuals enabling Hizballah’s activities that undermine security and stability in Iraq, and carry significant risks for those attempting to conduct business with Hizballah globally. Today’s action continues Treasury’s historic level of Hizballah-related designations, which have reached record numbers in 2018. Treasury’s actions today again highlight the degree to which Hizballah operates as a clandestine, terrorist arm of the Iranian regime. On November 5, 2018, in its largest ever single-day action targeting the Iranian regime, OFAC sanctioned over 700 individuals, entities, aircraft, and vessels. This action completed the re-imposition of U.S. nuclear-related sanctions that were lifted or waived under the Joint Comprehensive Plan of Action (JCPOA). The individuals designated today are subject to secondary sanctions pursuant to the Hizballah Financial Sanctions Regulations, which implements the Hizballah International Financing Prevention Act of 2015. Pursuant to this authority, OFAC can prohibit or impose strict conditions on the opening or maintaining in the United States of a correspondent account or a payable-through account by a foreign financial institution that knowingly facilitates a significant transaction for Hizballah. All property and interests in property of those persons designated today that are subject to U.S. jurisdiction are now blocked, and U.S. persons are generally prohibited from engaging in transactions with them. Al-Zaydi was designated for acting for or on behalf of the Islamic Revolutionary Guard Corps–Qods Force (IRGC-QF), and assisting in, sponsoring, or providing financial, material, or technological support for, or financial or other services to or in support of, Hizballah. 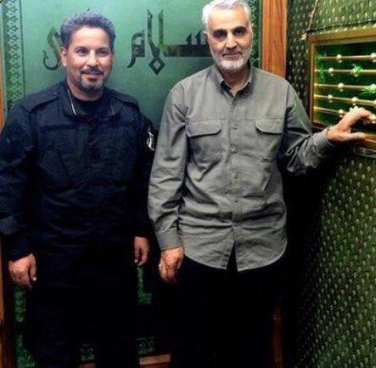 Al-Zaydi has served as a financial coordinator between the IRGC-QF and sectarian armed groups in Iraq and assisted in facilitating Iraqi investments on behalf of IRGC-QF Commander Qasem Soleimani, whom OFAC designated on October 11, 2011, for acting for or on behalf of the IRGC-QF. Al-Zaydi has also coordinated the smuggling of oil from Iran on behalf of Iran, the smuggling of oil into Syria on behalf of Iran, and has sent Iraqi fighters to Syria allegedly at the IRGC-QF’s request. 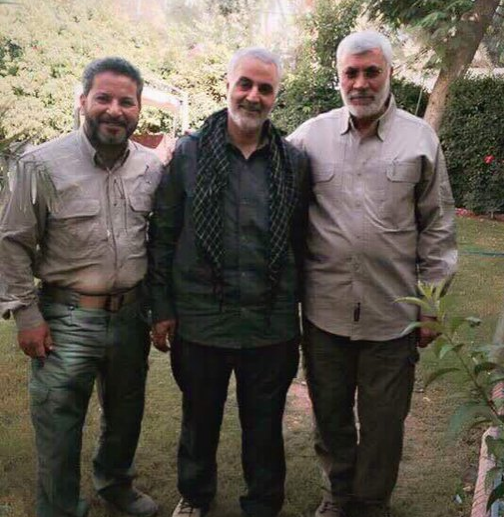 Al-Zaydi has appeared publically with IRGC-QF Commander Qasem Soleimani at least four times (see photos below). Al-Zaydi has maintained close business ties to Hizballah officials and Hizballah financier Adham Tabaja (Tabaja). These activities have included providing protection for companies in Iraq allegedly financed by Hizballah and facilitating the movement of Hizballah funding into Iraq for investments. Al-Zaydi has also worked with senior Hizballah officials to transfer large sums of money to Lebanon to help fund Hizballah’s participation in the Syrian civil war. Moreover, Al-Zaydi has transferred large sums of money to Tabaja and worked with OFAC-designated Muhammad Al-Mukhtar Kallas to facilitate the movement of bulk cash from Iraq to Lebanon on Tabaja’s behalf. OFAC designated Tabaja on June 6, 2015, for acting for or on behalf of Hizballah. Tabaja maintains direct ties to senior Hizballah officials and Hizballah’s operational component, the Islamic Jihad, and holds properties in Lebanon on behalf of the group. In addition, Al-Zaydi is a partner and founder of Global Cleaners S.A.R.L., which OFAC designated on October 20, 2016, as an SDGT pursuant to E.O. 13224 for being owned or controlled by Tabaja. Also, since its founding in 2014, Al-Zaydi has been the Secretary General of an Iran-aligned Iraqi sectarian armed group. This armed group primarily operates in Iraq, but has also dispatched fighters to Syria, and its members have trained in Iran and with Hizballah in Lebanon. Hashim was designated for acting for or on behalf of Hizballah. Hashim oversees all Hizballah-related operational activities in Iraq and is in charge of protecting Hizballah interests in Iraq. Additionally, Hashim arranges for the protection of Tabaja inside of Iraq. Hashim has also managed Hizballah’s relations with sectarian armed groups in Iraq, including the coordination of the deployment of fighters to Syria. Kawtharani was designated for assisting in, sponsoring, or providing financial, material, or technological support for, or financial or other services to or in support of, Hizballah. Kawtharani facilitates business transactions for Hizballah inside Iraq and has attended meetings in Iraq with sectarian armed groups and Hizballah officials. Kawtharani has also been involved in securing a significant source of funding for Hizballah, and has served as the right hand man for his brother and senior Hizballah member Muhammad Kawtharani, whom OFAC designated on August 22, 2013, pursuant to E.O. 13224, for being in charge of Hizballah’s Iraq activities and working on behalf of Hizballah leadership to promote the group’s interests in Iraq, including Hizballah efforts to provide training, funding, political, and logistical support to Iraqi sectarian armed groups. Further, as of 2016, Kawtharani worked to obtain a weapons contract in order to raise funds for Hizballah fighters. Kawtharani is also a partner in the company Global Cleaners S.A.R.L. Farhat was designated for acting for or on behalf of Hizballah. Farhat has been involved in advising sectarian armed groups in Iraq on behalf of Hizballah. As of 2017, Farhat was tasked with collecting security and intelligence information in Iraq and subsequently providing reports to senior Hizballah and Iranian leadership. Farhat has been involved in a project to analyze and report on the Iraqi security situation for Hizballah and the IRGC-QF.